Partly cloudy. High 61F. Winds S at 10 to 20 mph.. Partly cloudy skies this evening will become overcast overnight. Low 49F. Winds S at 10 to 15 mph. 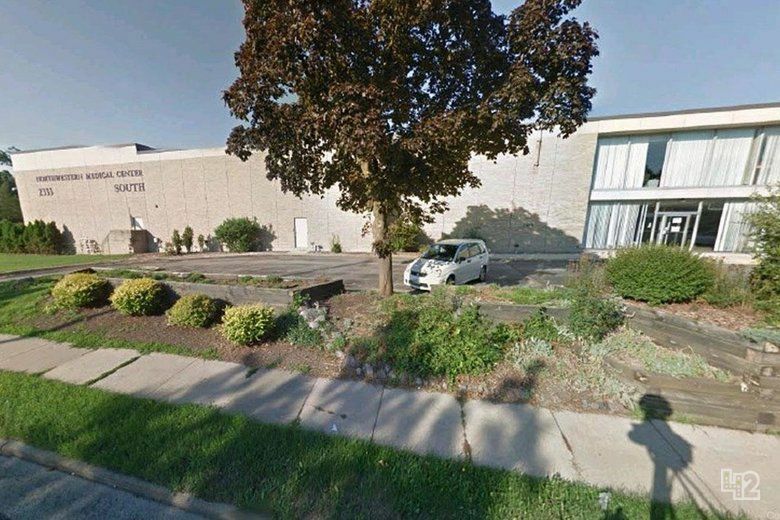 RACINE — A student at Racine Alternative Education, a program that offers credit recovery to high school juniors and seniors who are credit-deficient, was arrested Thursday after allegedly starting a fight with someone he accused of stealing his phone. Jamiah A. Winkler, 17, of the 2600 block of Olive Street, was charged on Friday with misdemeanors for battery and disorderly conduct. Racine Alternative Education is located at 2333 Northwestern Ave., across Northwestern Avenue/Highway 38 from Gilmore Middle School. RAE shares its address with the Racine Employee Health and Wellness Center. A Racine Police officer, working off-duty at RAE, was informed that Winkler had reported his phone had been stolen. The officer was reportedly in the process of arresting the alleged thief, who was not identified in the complaint, when the officer was notified that a fight had begun outside. Classes had just ended for the day. The officer learned that Winkler had allegedly assaulted a 14-year-old student, hitting him “at least 10 times before school staff intervened,” for the theft of Winkler’s phone. The 14-year-old is not the same individual the officer reported arresting for the alleged theft of Winkler’s phone. The complaint lists Winkler’s weight as 360 pounds and his height as 6-foot-4. It reportedly took multiple staff members to separate Winkler and the 14-year-old. According to the officer’s report, a teacher also reported being struck by Winkler, but did not wish to pursue charges. Court records and the criminal complaint show that Winkler has not been convicted of a crime. The criminal complaint did not say whether Winkler’s phone was ever recovered. And this is the failed "students" the hangers on by the thread only allowed by the liberals, This state needs to update and modernize the fact that there are way to many punk kids in the system that need to be tossed out for good! So now it is time for this legislature to address that fact and make LAW that puts these "kids" on permanent at home only education ... The law must be there to allow this...It also must allow young adults to opt out of education at the public trough at age 15.. and to have NO ONE on a public school campus who is and will be 20 years old. If the facility is for juniors and seniors, why is the 14 yr old there? Did he skip a few grades and then go downhill? Regarding the fresh fruits and veggies: if everyone seen the amount of fruit already thrown away you would be appalled. Sinful. "Appalled"---Hard to get "appalled" over the goings on a RUSD. "Appalled: - affected by strong feelings of shock and dismay" Guess 'ya just have to have low expectations. I wonder if the teacher feels his or her job would be at stake by not pursuing charges as Gallien would be outraged that a faculty member would do so?? I guess hugs and handshakes didn't work for this incident hey Gallien?? Now what Gallien?? What do the parents feed it? "Tony Evers........ “The Fresh Fruit and Vegetable Program gives our students tasting experiences that will help instill healthy eating habits," Guess Tony might work on other student "habits". Funions, hot Cheeto's and honey buns don't count. A classic “brain drain” story.